If you are a site owner or co-owner, or work in advertising, be very careful how and what you advertise. There is right and wrong ways to advertise. Be sure to read the guidelines and follow them. Recent Advertising Standards Authority rulings in the UK against online gambling companies which flighted questionable television advertisements, underlines the importance of close management supervision of creative proposals for advertising material. Withdrawing adverts can be an expensive and embarrassing end to what might have originally been seen as an amusing or innovative approach to attracting the attention of the market. In the current cases, the ASA frowned on ads that it felt had a sexual tone, suggesting that online gambling increased sexual prowess. The ads featured a man drinking champagne in a limousine, flanked by two women with some innuendo in the copy and a play on the word “short”. The company suggested that the promotion targeted a “very specific” audience who would understand its “whimsical” nature. The advert was specifically aimed at those who would have understood that the term “being short” referred to financial spread betting, the company claimed. It didn’t help, and the ads were withdrawn. In another case, the use of dwarfs dressed as dice and playing cards was criticised. The ASA said the adverts would appeal to children and young people because they featured small characters wearing costumes and participating in gameshow-style activities. The company maintained the humour was not intended to be juvenile and said the advertisements were designed to fit its “fun and relatively light-hearted” brand, but the ruling went against it, and the ads become the first to be banned under new laws that stop children being targeted. “The slapstick humour was likely to appeal to children and young persons,” the Advertising Standards Authority said. 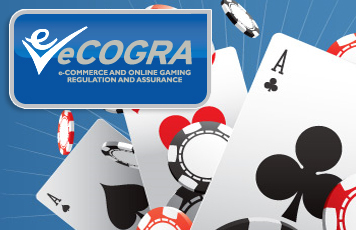 eCOGRA accredited operators should note the ASA’s statement that such adverts “…should not appeal to people under 18, or associate gambling with sexual success, increased popularity or as a solution to financial problems”. These guidelines are not that hard to understand or follow. There is no reason for anyone to misunderstand these. So advertise, but do it tastefully and with care. Players will be attracted to a site and play if these guidelines are followed.